Ships from and sold by AimToFind Canada. Comment: Item will come in original packaging. Cosmetic damage (Less than 5%) on the front side of the item. Cosmetic damage (Less than 5% ) on the top of the item. Cosmetic damage (Less than 5% ) on the sides of the item. Price: CDN$ 449.99 FREE SHIPPING. 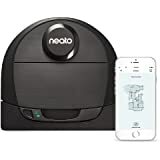 Patented Neato Technology-LaserSmart Mapping and Navigation system scans and maps the room, plans, and methodically cleans-instead of bumping around. AutoCharge & AutoResume goes room to room; when it needs more juice, it goes to its charging base then returns to where it left off & finishes the job. Warranty Description Robot: 1 year limited. battery: 6 month limited. 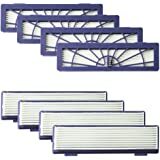 consumables (filters, brushes): not covered by warranty. 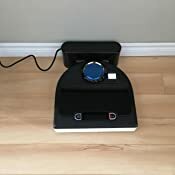 High performance robot vacuum--ideal for homes with pets. 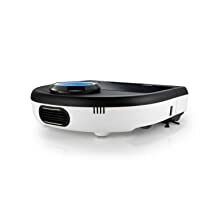 Advanced SpinFlow Power Clean system picks up more of the stuff that lands on the floor—like dirt, crumbs, dust bunnies, and pet hair. D-shape design and CornerClever technology get to where dirt hides—in corners and along walls. Moves from room to room, automatically returns to charge base, recharges, and resumes where it left off. Extra-large, bagless dirt bin holds more than round robot vacuums and is easier to empty. Patented LaserSmart mapping and navigation technology sets Botvac D8001 on a course to methodically clean, instead of bumping around. 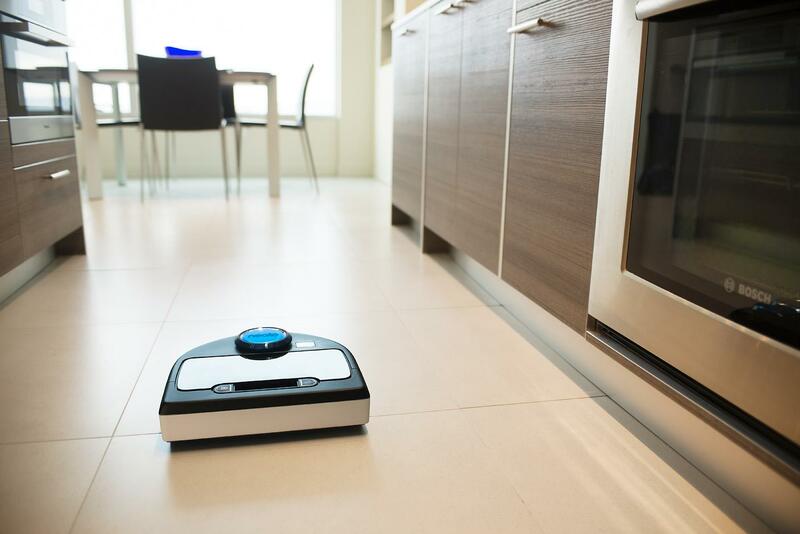 It scans the room, senses objects in real-time, and determines the most efficient path, finishing up to 4 times faster than other robot vacuums. 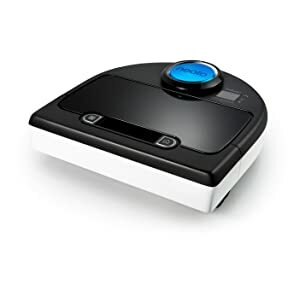 Combines powerful vacuum suction and precision brushes to leave floors immaculately clean. 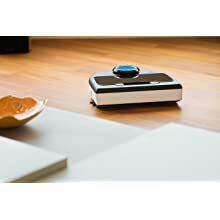 Botvac D8001 effortlessly picks up stuff like dirt, crumbs, dust bunnies, and pet hair. 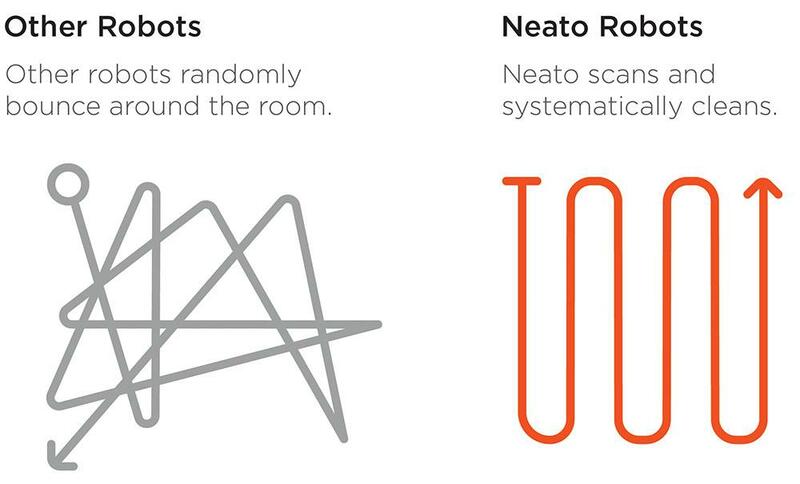 And, with its D-Shape design and CornerClever technology, Neato gets to where dirt hides--in corners and along walls. Returns to Charge Base As Needed. .. When Botvac D8001 runs low on power, it automatically goes to the charge base. When it’s powered up, it returns to where it left off and finishes the job. Simply push start or automatically schedule cleanings. 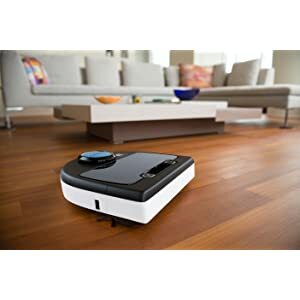 Botvac D8001 automatically vacuums multiple rooms on its own, effortlessly transitioning from room to room and from one floor surface to another. 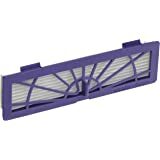 Its extra-large, bagless 0.7-liter dirt bin holds more dust and dirt than round vacuums and is easy to empty. Simply lift the bin out of the top of the robot and dump the contents into the trash. There’s less mess than with smaller bins that slide out from the side or underneath the robot. Use the easy Auto-Schedule display screen and controls to set up a schedule that works for you. When you want a quick spot-clean or a thorough multi-room clean that isn't scheduled, just push start. As Botvac D8001 scans the room, it senses objects in its path, like furniture and toys, and carefully navigates around them. It even detects and avoids stairs. 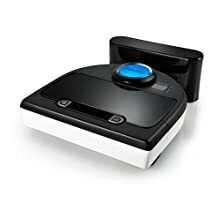 Unlike other robot vacuums that require wall-mounted blocking sensors, simply drop down easy-to-use boundary markers to keep it away from places you don’t want it to go. Hugs Walls and Gets Under Furniture Where Dust Bunnies Hide. 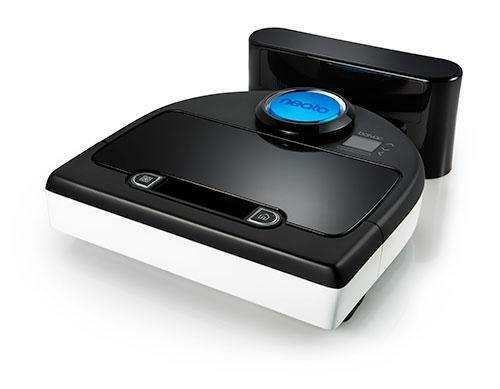 With its unique D-shape design and 50% larger brush than round robots, Botvac D8001 cleans within 10 millimeters of the wall. 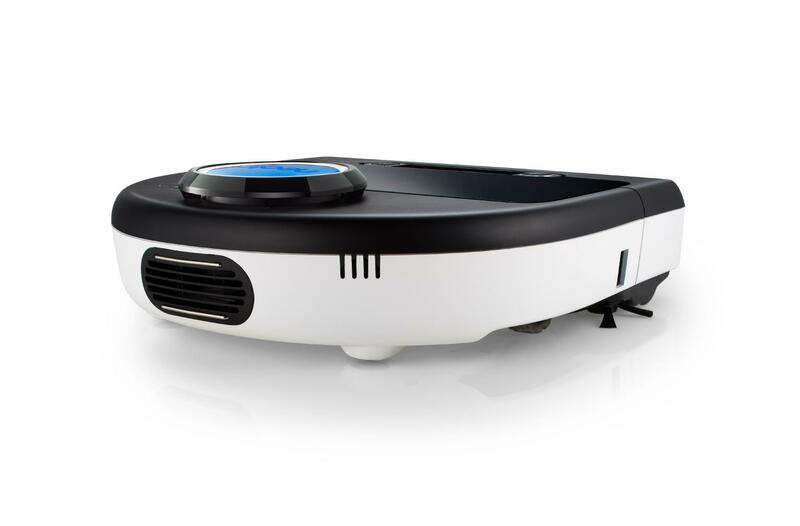 Plus its low profile allows it to clean under beds and in other hard-to-reach places where dust bunnies collect. Human or pet hair, Neato doesn’t discriminate. 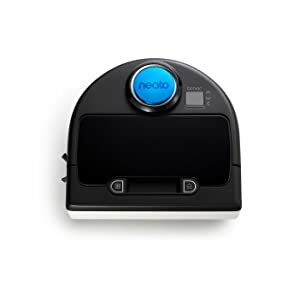 Neato picks up more hair than other robotic vacuums. 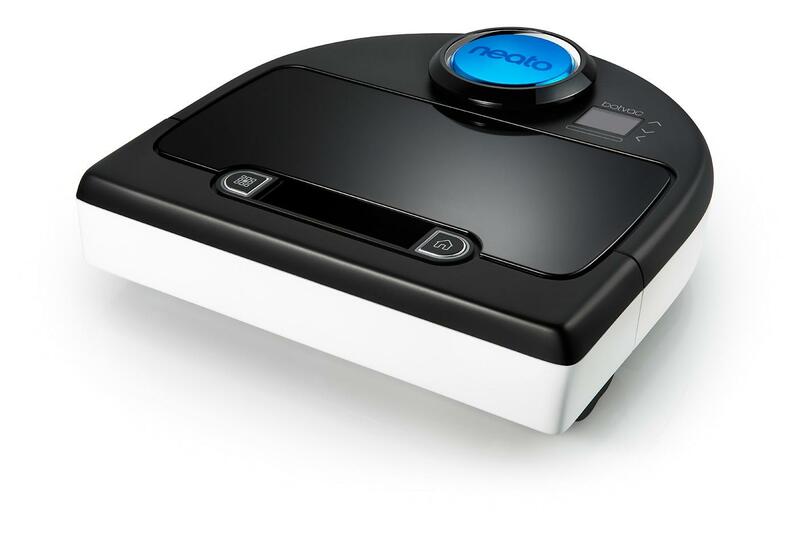 Neato robots are the smartest, most powerful robot vacuums you can buy. 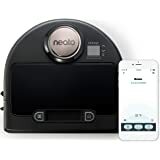 Unlike other robot vacuums that bounce randomly around a room, Neato’s laser navigation, powerful suction and thoughtful design give busy households and homes with pets clean floors—without ever having to push a vacuum. 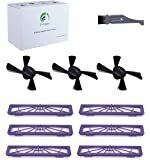 The spiral blade brush cleans all floor types. 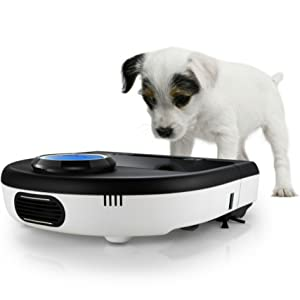 Use the combo brush to pick up all types of hair--it's ideal for homes with pets and offers a quieter vacuum experience. 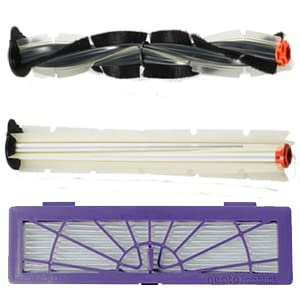 The extra-large filer traps more dust than other robot vacuums. As new features become available, you can download them right into your robot. Charge your robot overnight before using it for the first time. 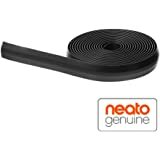 Keep Neato on its charge base when not in use – out of sunlight and heat, and on a flat surface. Store Neato with the batteries disconnected, or turned off if you will be on vacation or away for a longer period. Charge Neato as soon as possible after discharging the batteries. Always use Neato Genuine Accessories. Please ensure that your replacement batteries, filters, brushes and any other components are Genuine Neato Accessories. Accessories made by third parties may damage your robot or cause performance issues, and will also void your product warranty. 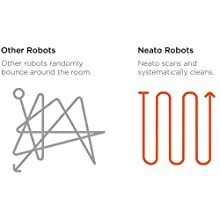 Getting the most out of your Neato robot. 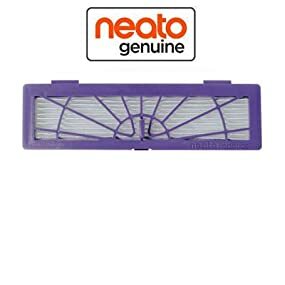 We recommend that you use your Neato frequently to keep it happy and healthy, and you get cleaner floors! Between cleaning cycles, keep your Neato charging on its charge base. Emptying your dirt bin after every cleaning. Tapping your filter against a garbage can to remove excess debris. Cleaning your Neato brush after every run to keep the brush debris-free and running smoothly. If debris gathers, don't worry. It's easy to pop the brush out, clean, and put back in robot. Cleaning debris from the side brush. 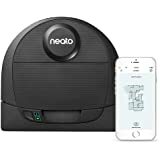 5.0 out of 5 starsGoodbye Roomba, hello Neato D80! My second Roomba died a week ago, and I figured it was time to try a different company. 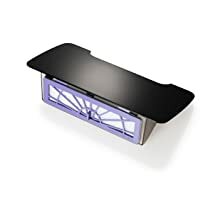 I've also been frustrated of late with how stupid my Roomba was becoming, mindlessly bumping into furniture like a lackadaisical bull and freezing every time it hit a black carpet. First week with the Neato D80 and I'm impressed. 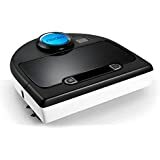 It does a single room in a fifth of the time of the Roomba, as it goes back and forth in a specific pattern, rather than Roomba's "spiral pattern to -whatever" method. It also handles floorplans differently, doing a full three rooms on each floor of the house. 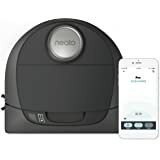 Roomba always focused on one room and (tried to) do it well, where with the Neato I can leave the doors open and it's smart enough to do a room thoroughly, do the hall, move to the next room, and go back to its base for a recharge if need be. Only downside so far - hate the blue circle - it looks like that cheap film you have to peel off a new appliance. Will update after a month or so. 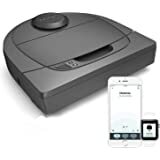 Honestly never going back to Roomba again - 1 year of heavy use (4-5 times a week) and despite having to replace the battery, this thing is still a monster. Still good at transitioning from rug--> floor, has a bit of trouble docking sometimes, but a very solid machine. Furthermore, I spilled coffee on it and fried its internals just 2 weeks past its one year warranty. Neato had me ship it back to them, presumably for repairs that I figured I'd be charged for, when much to my amazement a brand new one showed up at my door. This kind of after-purchase care has won me over totally. I've convinced other family members to get one, and they don't regret it at all. 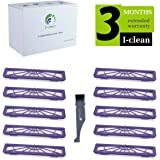 4.0 out of 5 starsGoodbye my pair of old Roombas! TWO-years later still going strong. Brilliant! 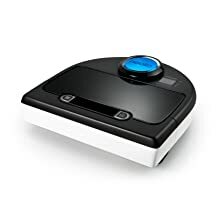 As a longtime Roomba user (Discovery, Discovery Scheduler, Scooba), I was a little hesitant to go out of the "original brand". After reading a few reviews, I jumped on it since Amazon dropped the price on this unit quite a bit. Briefly considered the "Connected" model but it was substantially more expensive. The D70 is more expensive (as of this writing) and the D85 just had a few more spare filters so this was it. The first clean was astonishing -- so much so that I had to do a wide angle Hero cam time lapse. What used to take the old Roomba 40 minutes or so only took the D80 16 minutes! The time lapse video was quite telling on the intelligence this thing has along with the lidar system. Case in point, if I was to vacuum around the Christmas Tree, I would have to put up barriers or the Roomba would knock the presents over. I just ran the D80 and it gingerly (but closely) ran around the presents (what!). Brilliant! So why 4 stars? It did get hung up somehow on a door stop, the kind that is a spring and affixed to the wall moulding. Next, the dust bin is easy to handle but not quite the same workflow. That is, with the Roomba I can handle it any way because there was only one opening. For the D80, there are two openings directly opposite (filter/emptying and intake). This means you need to be careful or end up dumping everything out of the smaller intake hole until you get used to it. 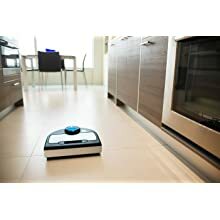 Used to own a near first gen Roomba, and it drove me nuts to watch it wander aimlessly. 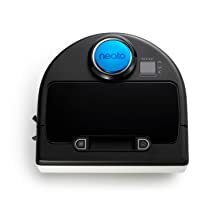 Neato is much more orderly and does a better job cleaning the carpet and close to the walls. It can even (sometimes) get over some of the low chair legs on our IKEA chair, something the Roomba got stuck on every time. It is annoying in that it doesn't always know that you have cleaned it's brushes once you set it right again, so sometimes I take it back to base, and let it reset itself against the chargers before letting it out. It is really good at finding it's base before it runs out of battery, and finishing the clean if it wasn't completed. Battery life is relatively good. 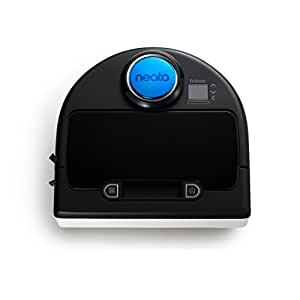 About the same as Roomba. It is not excellent at cleaning hard (linoleum) floors. Much better at carpet. However, if you send it across (linoleum) a few times it usually does the job. Unfortunately, it still eats cords... Not sure there is a robot vac out there that doesn't but I hope there will be someday... Quite satisfied with this purchase. Also! It's quiet enough for my apartment (mostly occupied by older people very sensitive to noise) so I love it. Quieter than Roomba was I think. Holds a lot of dirt too! Don't have to empty as often as Roomba. 1.0 out of 5 starsWorks great, when it works. Does not last longer than a few months. Works great...when it works. This is the 4th Neato vacuum that I have owned. And so far they have all been defective. Neato replaced this current model that I have but it has driven/fallen down my wooden stairs twice now and has done significant damage to my stairs. I live in a log home with soft wood stairs, and now there is chunks missing out of my stairs. 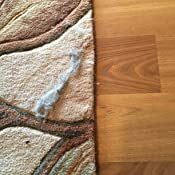 When the vacuum does work (for a very short time if you're lucky), it is amazing by getting under couches and beds, and cleaning in methodical way. However, it breaks shortly after. I've never had a machine last more than 6 months. 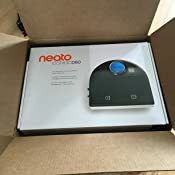 It only has a 1 year limited warranty through Neato and they have the right to deny any repair or request for refund if they want to. 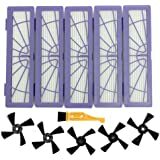 My only hope is that Amazon can help me out now. 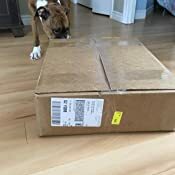 As I have never had a bad experience with Amazon. Fingers crossed. To sum up, buy something else unless you have weeks of your time to spare to deal with Neato Customer Service.